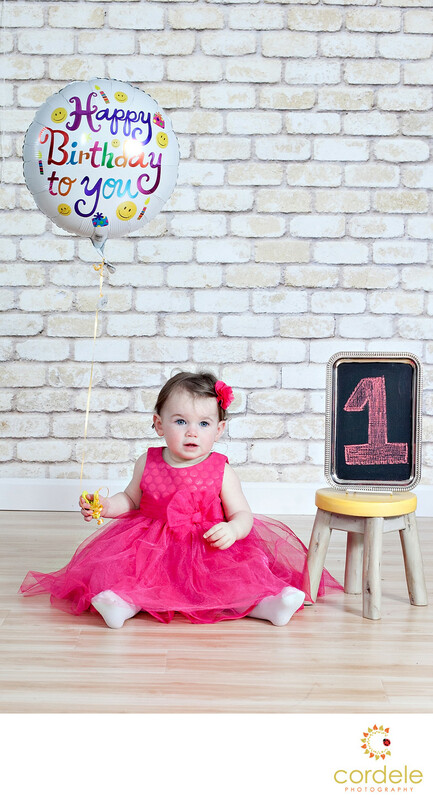 Babies First Birthday photos done as a Cake Smash right here in Boston! Here we did it in front of a brick backdrop with a simple balloon and the number one! She's wearing a pink dress and sitting on a wood floor. Happy little lady wasn't into the cake smash so we scratched that! I really love the dress. It was one of a kind and I encourage more people to get their kids in color and really make photos pop!